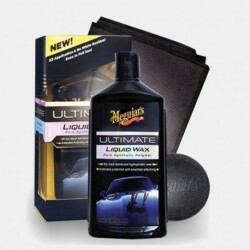 Meguiars Ultimate Wax is easily applied without leaving white residue on plastic and rubber, even in full sun! 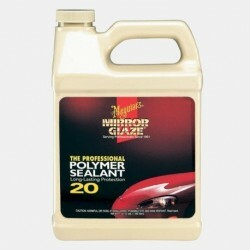 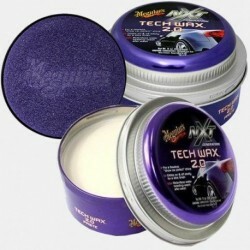 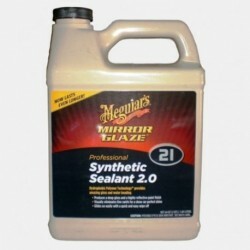 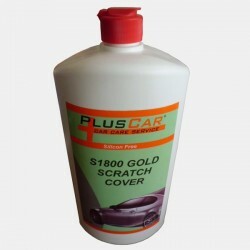 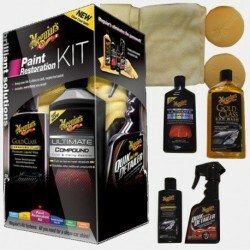 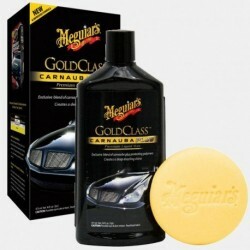 The product itself comes with a handy and good-sized Meguiars Foam Applicator pad and a Supreme Shine Microfibre Cloth. 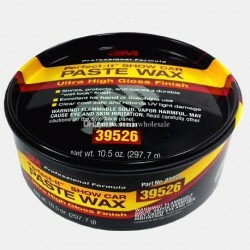 Simply wipe this across the surface of the wax in the tin. 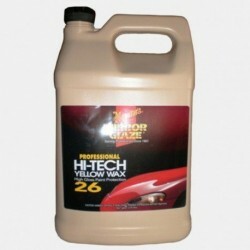 You don’t need too much, just a simple single wipe will suffice. 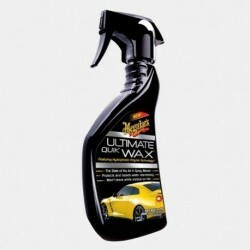 Whilst Meguiars Ultimate G18211 is a paste wax, being synthetic it is also fairly soft, making it a breeze to apply. 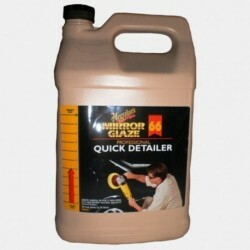 Apply to a small section at a time like panel by panel or in the case of the bonnet, think doing it in 3 or 4 sections. 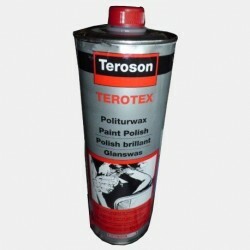 Rub the applicator with the wax across the panel in circular or straight-line motions until the wax is covering all the paint. 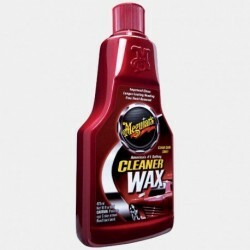 After leaving the wax for at least 3-5 minutes, simply wipe over with the Supreme Shine Microfibre Cloth until all the wax residue is removed and a deep gloss shine appears.